NXT-Dx is a private company located in Ghent, Belgium, founded in the summer of 2011. The company was started and is run by an experienced team of people combining a unique set of skills in epigenetics, transcriptomics, proteomics and bio-informatics research. Thirdly we offer testing services in the field of (immuno)proteomics. Also here we deliver start-to-end services whereby our customers send us their samples (cells, tissue, serum, blood, etc) and we take care of everything including the basic bio-informatics and data-analysis. NXT-Dx works in close collaboration with the University of Ghent, Belgium and AIT, Austria. If you are interested in any of our services or want to know more on what we can offer besides these services, please get in touch with us. NXT-Dx proudly serves researchers from within academia, pharma, biotech, industry, etc. 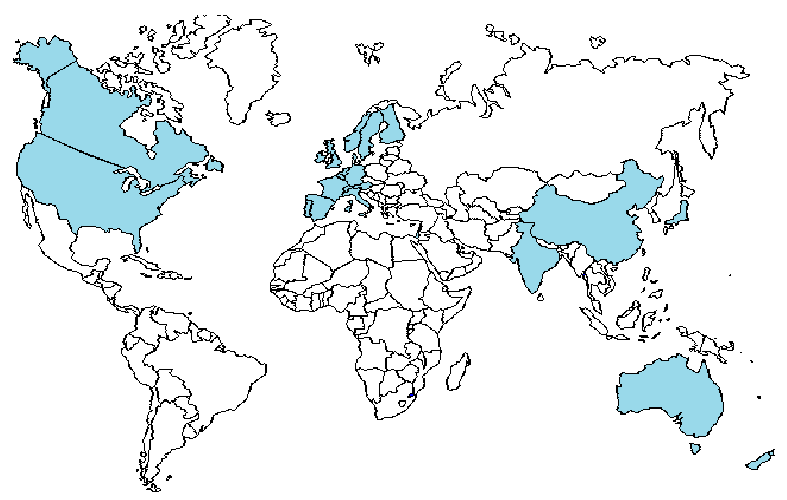 We have proudly served customers from all over the world and continue to expand our customer base. A complete service ranging from pre-processing, sequencing/QPCR/array, data analysis, results visualisation, etc.